Your La Barra holiday will include plenty of things to do in one of the trendiest neighborhoods near Punta del Este. Pressed up against the Atlantic Ocean, this resort town houses a permanent population of less than 500 people and retains a sense of exclusivity away from major tourist crowds. Crossing the suspension bridge from Punta del Este allows you to visit a variety of unspoiled beaches on your La Barra itinerary. The setting sun brings out a crowd of partygoers, who spend the night enjoying themselves at the local bars and discos. La Barra is in Maldonado. 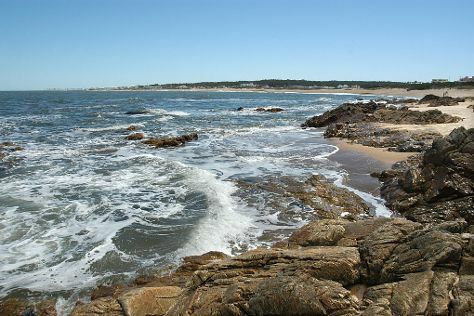 Plan your trip to La Barra and other Uruguay destinations using our handy Uruguay trip planner .